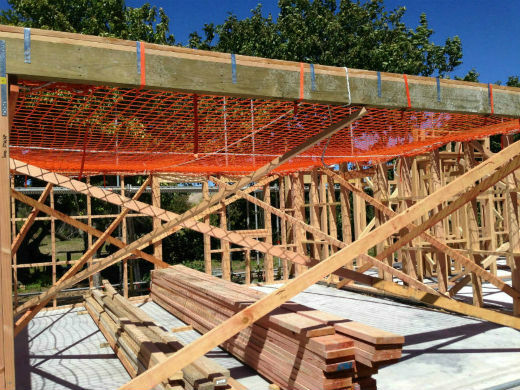 Safety netting provides the necessary personal protection against injury or death from falls as well as the protection for others from falling equipment and debris. Constructed of rugged high strength fibre netting with integrated rope cording, the safety net is held in place over the work area with rope and adjustable clinch straps. The safety nets are easy to set up, remove and store. Call Rob for more information.